Thank you everyone for all your amazing support. I am truly blessed to be doing what I love every day. I am excited to announce that I am celebrating 4 years in business today! I just wanted thank those of you who have supported my me and my staging company. I cannot believe it has already been 4 years. Looking back I had no idea how far this journey would take me but every year my business has grown better and stronger and I am just so grateful to do what I love everyday. Thank you so much! Sometimes living in a home makes it difficult to view the property any other way. Listening to our professional advice and showing your home at its best can mean the difference between sitting on the market with no luck vs SOLD. Are you selling a property and searching for quick staging tips on how to make the home more appealing without spending lots of money? Most homes that I have staged invested $200-$400 for the staging. I provide my clients with specific tips that will truly make a difference in how the home is presented online and when potential buyers visit the property. Staging needs to be looked at as an investment, because done right it will not only save you money, but it can potentially make you some. Did you know that I have yet to walk into a property and walk out because it was ready to go? In a time where most sellers are stressed, is it not beneficial for home owners to have some direction and specific hands on help? When a stager isn’t involved in the selling process, sellers are often advised to “stage” their property by removing everything off the counters and taking down family photos. 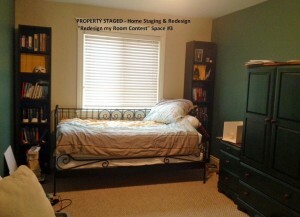 This actually isn’t staging, its decluttering, an important step in the staging process. The issue is every home is different, so each home will require different suggestions. Removing everything off the counters is the “easy” way out and in most cases simply makes the home feel cold and empty. The truth is in order for a staging job to get done properly, it is imperative that a professional stager sees the property in person. Attention to detail is the key and if the house is move-in ready, it means less work for the home buyers and a possibly a better offer for you. I recently staged a couple properties – one is on their fourth Realtor, another is on their second. It is a competitive market and this is why generic advice isn’t really “good advice”. You might think you are saving some money by not investing in a stager, but you could actually be wasting it by missing this important step. You need to know what you are doing is beneficial and that it will get the property sold for a price you are happy with and in the time frame you need it to. When properties sit on the market and are not attracting buyers – guess what happens? Generally the price is lowered, sometimes even a few times. And, in the end when it still hasn’t sold, I am the one that gets called in to find out WHY and fix it. But I ask this – WHY let it get to that? WHY wait until after its listed? How I work: 3 steps! 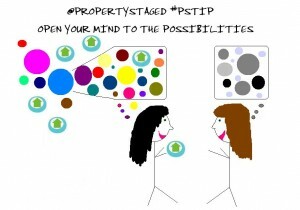 Part 1: The Initial Consultation – the “what has to happen” stage where my suggestions and solutions are made to the seller to help create a more marketable property. We also discuss budget. I give my advice, move items around, and create a property specific checklist for both the interior and exterior of the home. Part 2: “Roll up your Sleeves” this is the actual work to get the first step completed. To save money, this step is generally completed by the home owner. If time isn’t on your side, then we can help you with as much as you need us to. After completing this step, your home is prepped for staging. 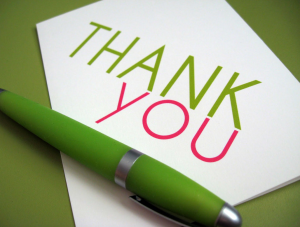 Just wanted to take some time and thank each and everyone for their amazing support. I truly couldn’t have done it without you. 2013 was another successful year, surpassing 2012. Goals I had hoped to reach, were reached. It is such an amazing feeling. I am so blessed and thankful to be doing what I love everyday. Having the opportunity to help others is truly rewarding. I will continue to do my best, and I look forward to 2014! Some great changes in the works! This post was inspired by my lastest clients children who weren’t exactly thrilled about moving so their parents had a fantastic idea – they turned the selling process into a scavenger hunt. I only found this out at the end, when my client said “you are going to cost me a lot of money.” I was a little confused because at this point I was only using what was already in the property. My client explained that her kids would receive money for every change they noticed I did in their home. I had a good laugh – what a great idea to get the kids more involved in the selling process. The home owners did a fantastic job following my recommendations from the first initial consultation to their “homework” I had left them. So when I went back to the property to complete the final touches before the listing photos, the kids would be coming home that afternoon to investigate what other changes I did. hether your family is moving for a job, to a larger house, or to be closer to loved ones, whether it’s just up the street or across the country, moving your family can involve some pretty big changes. And when children are involved, that transition can be even more stressful on everyone. Luckily kids are pretty resilient, so when you pack a positive attitude, most children will adapt to their new life fairly quickly. This is a big reason why I generally do my best not to change too much in their rooms unless absolutely necessary. Some stagers go overboard saying “no toys, posters” etc… Yes there is a fine line in staging but there is also something more important in these situations, and that is trying to keep everyone happy. Sometimes it is just not worth it. Will painting over a child’s’ dream princess room or a picture of them with their friends or having a bunch of teddy bears in the room stop someone from buying a house, no. Kids rooms don’t sell homes. They are considered “bonus rooms” so as long as they are clean, in good shape and functional, I am more lenient and I focus my attention on what matters most, the areas that sell homes. 1. House-hunt together. 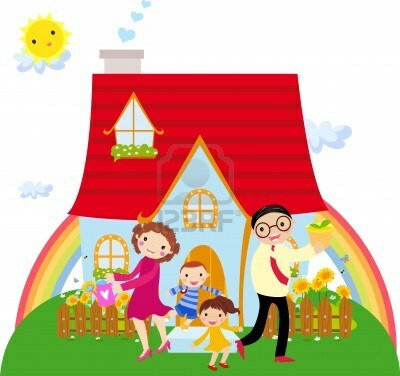 Make a family “wish list” of some of the things you all want to have in your new home. 2. Let them plan out their ideal dream room. Let them select the paint colours they would love to have, accents and furniture etc… If its in the budget, let them shop for a new item for their room. 3. Make and decorate a treasure box to store all their favorite items and so they are safe and close by. All kids have their favourite items, this way they will feel more comfortable and can be the first items to be brought into their new home. 4. Make a memory book. Say “goodbye” to your home by recalling some favorite memories of the old house. Talk about where you are going. Explain why it’s happening and why you’re excited. Encourage them to ask questions and express any anxieties. Let them help throughout the process, from packing boxes to organizing rooms. Turn it onto a celebration by making it a fun family night in the house. 5. Discover the new stuff. If your new home is nearby, take the kids to see it and explore the nearby parks, playgrounds, shops, school etc… Set out on a bike ride or walk around the block. Moving far away? Visit special neighborhood spots one last time. Collect local magazines, newspapers, and guidebooks and show them pictures of the new house and town. If possible, beat the moving van by a day or two and stay in a hotel and use that time to discover the new neighborhood together. Look for places, and events that would be fun for the whole family. Choose one or two destinations that seem fun and take a break from unpacking to explore them. 6. See you Soon – rather than goodbye, let kids know they will see their friends soon. Have your children collect friends’ addresses so they can send postcards to their friends from their new home. Make plans for a future play date or visit with old friends, or even then invite them over for a “house warming party” so the kids can show of their new home. 7. Hmmm….What to do with all those empty boxes? There’s nothing more entertaining to children than a boring cardboard box paired with a lot of imagination! Let the kids decorate the boxes and create a playhouse or a pirate ship. I started this business because far too often I saw homes listed for sale before being properly prepared. Sadly, I still see quite a few. 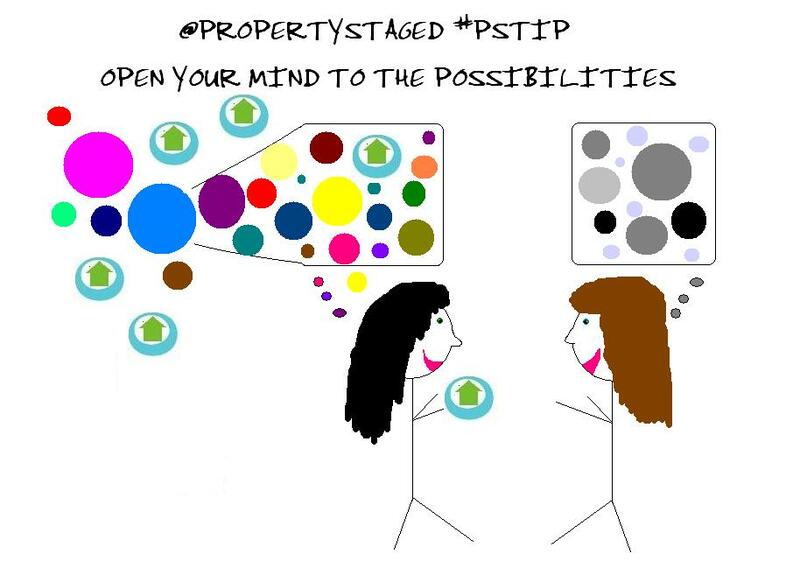 Staging is just one of those things that is now a must when selling a property. Here are a few reasons why I feel my staging services are more valuable than using a generic staging list. If you have read these “lists”, they tend to say things like “de-clutter, organize and lighten and brighten.” Hmmmm thats fantastic but what does that actually mean though? Which rooms? How much should be packed away? What paint colours would work best? What should be kept out and what should go away? These lists are just not specific enough. It’s way easier and cheaper to just say pack it all away but what happens is the home becomes cold and inviting to potential buyers, which actually can end up being more expensive. Often I deal with 2 kinds of properties: too much stuff and too little – both are very hard to sell. There’s a fine line when it comes to staging. Leaving a home owner to guess which things should be changed while not dealing with other important issues is not a great idea. But, having myself come in and consult on the specific property will ensure that all potential issues are identified and addressed prior to selling so you have the opportunity to make any necessary changes first. Working with me also ensures you have the right furnishings in the space so it suits the style of the house and the most likely buyer for your home. Generic Home Staging lists are simply not as effective as having my professional hands on help. Don’t be tricked into believing otherwise. These lists are always very similar and are just meant to help guide you when preparing a home for sale. In theory its certainly better than nothing, but the main issue is no home is exactly alike so these types of lists can both help and hinder sellers. Preparing and staging a home for sale isn’t the same process it was years ago because todays’ home buyers are more picky and have more selection when purchasing a home – the good ones don’t stay on the market for long and the others linger around because they aren’t being shown properly or because there is actually something wrong with the home. Staging the home is actually the final step after everything else has been completed. De-cluttering, painting, home improvements and repairs are part of the preparation process when selling but it is not considered “staging”. Home Staging deals with placement or rearranging of furniture, creating functional spaces with good traffic flow, highlighting architectural elements and giving it that WOW factor with décor, accents and furnishings that suit the space and make the home stand out in a good way against the competition. This is not an easy thing to do, especially when you are attached to the things in the home. 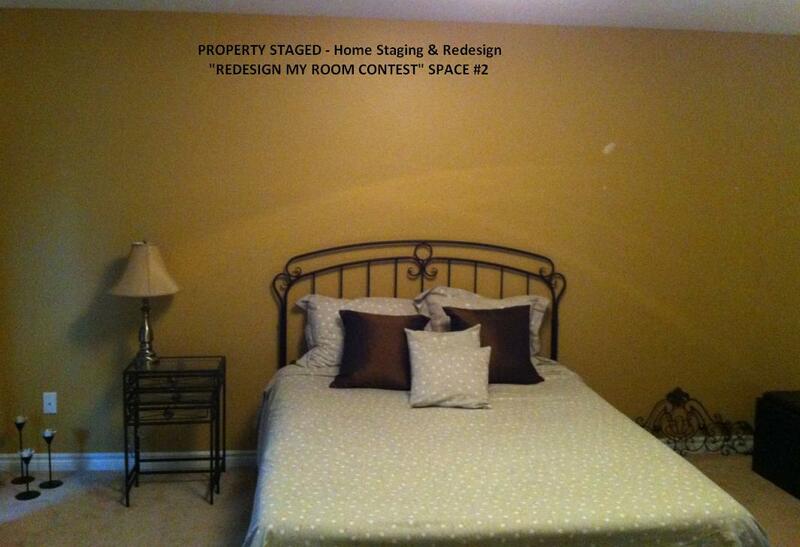 This is why DIY stagings’ are rarely as effective as having a professional come in and stage your property. I am trained to know how to properly showcase each area. Don’t take the risk. Make sure you prepare your property correctly the first time and I’m happy to help you as it is my goal to help you succeed. 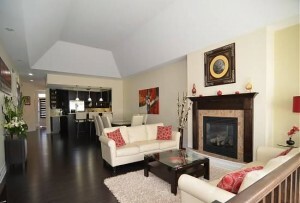 I often get asked this question during staging consultations: Do I have to keep the house like this? Like this, meaning looking “Staged for the photos”. I always recommend keeping the house as close to the staging photos as possible. You are allowed to live in your house while selling, but it is extremely important to put away or remove those things that people coming to view your home don’t necessary want to, or need to see. Kids rooms are the one place buyers are a little more lenient – however, the room still needs to be clean. A staged home is a clean and functional space. It should also be welcoming, not cold and empty. There’s a fine line when staging so ensure you get the proper help when listing your home so it is shown at its best every time. You never know when the perfect buyer will walk through the door – so do your best! Congratulations goes out to Lucy Rafuse “Room #1″ who won our “Redesign My Room Contest” – very excited to get started and help turn this space into a place they can enjoy for many years! I am very pleased to announce that the 4 contestants for the “REDESIGN MY ROOM CONTEST” have been chosen and you can see them below. It is now time however for you to help choose the winner! Please vote for the room you think should win by leaving a comment under the picture you feel needs the most help. When ready, just CLICK HERE to vote. Voting closes October 15th at 9pm. 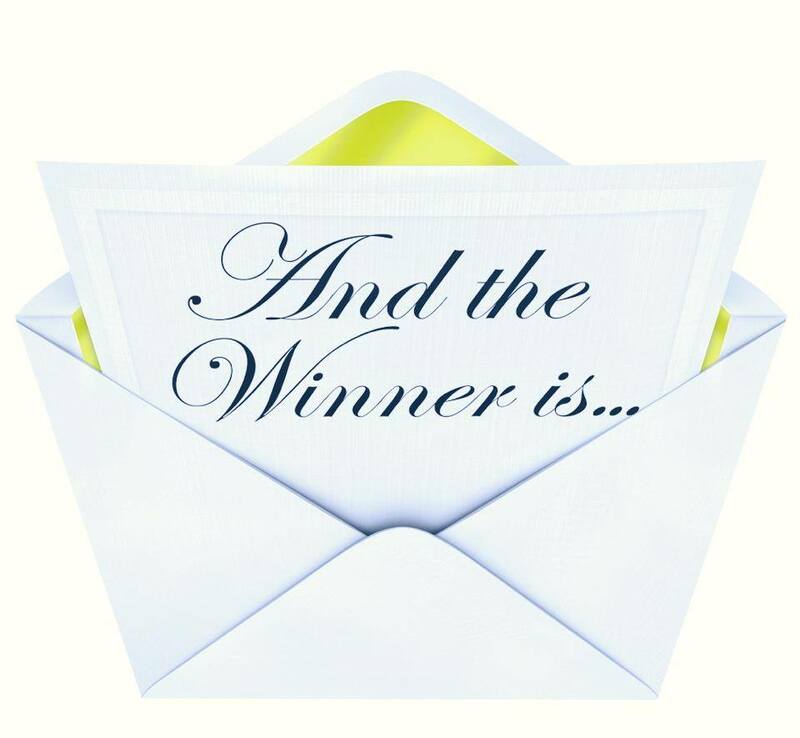 The winner will be announced October 16th. Interested in seeing what the winner will receive? Check out the amazing prizes from some of the sponsors who helped make this all possible. CLICK HERE to vote for the room you feel needs the most help! I am very excited to announce my fantastic new contest presented in part with some other amazing Ottawa Businesses. Most people have at least one room in their home that they aren’t satisfied with. So what if you had an opportunity to have a bunch of professional business people at your service to help prepare a room in your home for a lot less? Would you be interested? Oh, and what if I told you the value of this prize is estimated at about $2500? Before entering the contest, please ensure you have read the rules below carefully. We want the person who wins to take full advantage and enjoy this prize. 1. 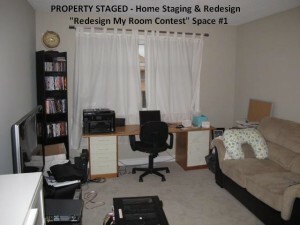 “Redesign My Room Contest” does not include redesigning a Kitchen or Bathroom as they generally require a larger budget. Based on how our first contest goes, we may look at one in the future, but for now, places such as the dining room, living room, master bedroom, kids bedroom, nursery or office are good examples of a space that qualifies for this contest. Basic electrical work (labour) is included however no plumbing. 2. 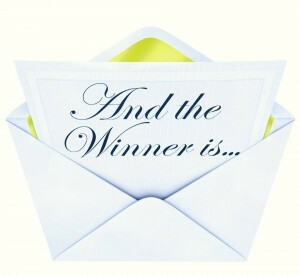 The winner will need to invest in any materials otherwise not provided in the wining package should they want to. Your budget is taken in full consideration before we start the project. There are also 5 gift cards to help you out with materials should you win. 3.The job must be completed before December 15, 2013. As the concept for this contest is getting a place nice for the holiday season. 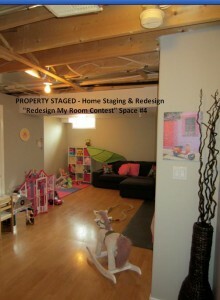 Step 2: Submit photos of the room you want help with by email to (mich@propertystaged.ca) . In the “Subject line” of the email please put: “Redesign My Room Contest Entry” and include a brief description (150 words or less) of what room and why. Please also include your full contact information. You will only be contacted if you are the top 4 entries or the winner. Step 3: All photos must be submitted before the deadline of October 9th, 2013 at midnight. 4 photos will be chosen and then voting will begin on October 11th 2013 - the most votes (likes) received for the photo on Facebook wins. Feel free to get family and friends to help out. Please note: There is no money value. All services have no minimum time associated to them and are non-transferable. Don’t forget to enter the subject line, attach your file, a small brief description 150 words or less and your contact information so it is a valid entry. Potential buyers most often start their search online. We can’t do much about the first 2 factors, but we can certainly help with the third! The listing photos are so important and are the key decision maker for most buyers to make a decision to visit a property or not. If I walk in your home and walk out because there is absolutely nothing to do, fantastic! You would be the first of almost 500 staged homes, mind you a couple of homes have come close. Small things may not be that important to you, but they are to a potential buyer. Some people are still on the fence when deciding whether to invest in Home Staging so I thought I would compare it to something that would help everyone see and understand the importance of having a Professional Home Stager help when listing a home for sale. Lets face it, most of us can bake but the question is, will it turn out as good as what a professional baker can do? In most cases, no, but they make it look so easy. However, with some guidance and following a recipe, you can come very close. Staging is actually very similar to baking in the sense that you need to follow a “recipe” that works for your specific home. Every home is different and therefore requires different suggestions. You may not have exactly what the “recipe” calls for, so in these cases some things may need to be modified or you may need to invest in a few items to ensure it comes out right. Most people won’t take shortcuts with a recipe, so why would it be any different when selling your home, which is a pretty big investment. Think of these cupcakes as properties. Which one appeals to you? Which one would you most likely want to buy? 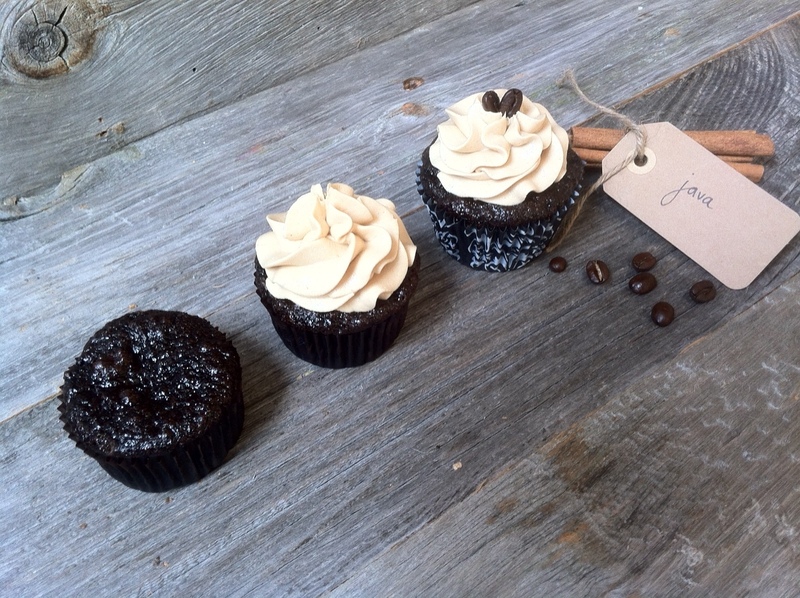 A cupcake isn’t a cupcake without icing and the correct ingredients. The cupcake that has icing and decorations are the added touches that helps make the cupcake appeal to more people – just like the final stages of preparing a home for selling. These last steps are important and are key to presenting a product potential buyers want. Just like a listed property is without properly being staged – it’s not complete. Its a proven fact, every home that isn’t staged sits longer on the market. You have a better chance of selling the last cupcake at a more competitive market price versus the first one with nothing – just like a property. If there is a to do list or if its empty, it does not show very well and potential buyers will expect to get a deal or it will sit there with no interest. If you use cheap ingredients, or cut corners your recipe will not turn out the same way. Staging involves steps and a process just like a recipe. Hire a professional stager to help you ensure your property is shown at its best. In most cases its time to roll up the sleeves and be prepared to get to work. Every home is different, but the more you do yourself, the more you will save. Your home needs to show at its best. So with this being said, know your limits. Professionals know what they are doing and can save you a lot of time and money in the long run by working faster and ensuring its done right the first time. Prep Time: each property is different. Some can take hours, some can take weeks. Never list your home until its 100% ready. You wouldn’t try and sell a half baked cupcake, why is this any different? Big thanks to my good friend Crystal the fantastic women behind “gf2 cupcakes” . Thank you so much for helping me out with this. I highly recommend you stopping by her website. Very excited to share this news with you. I had the amazing opportunity to be on Lunch Out Loud with Hosts Nick Bachusky (Mortgage Broker with Mortgage Force) and Andrew Miller (Keller Williams Realtor) awesome guys who host this weekly Ottawa show about the who, what and where of our great city of Ottawa. I highly recommend checking it out. Here is the podcast. Enjoy! © 2011 Property Staged. All Rights Reserved.